Ihlas Bebou has been one of the most fascinating players to watch in the Bundesliga this season. 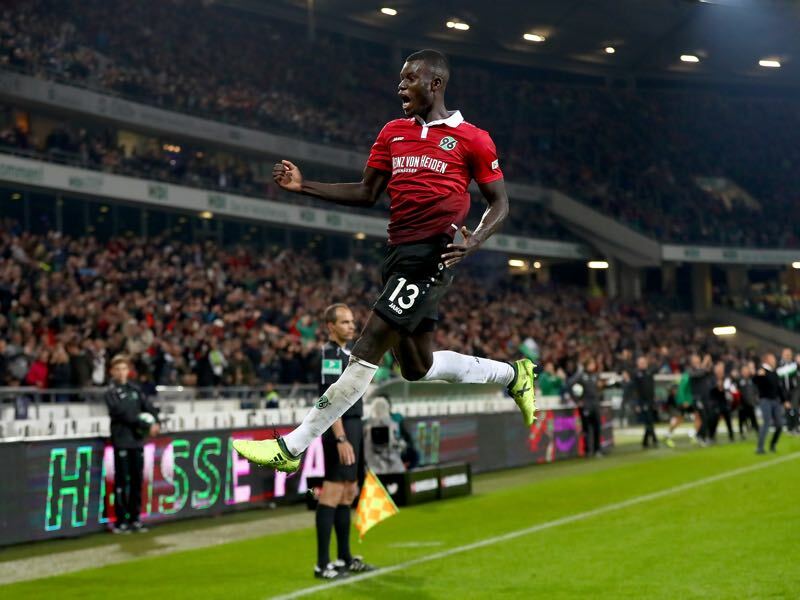 The 23-year-old Togolese is considered Hannover 96’s transfer of the season. 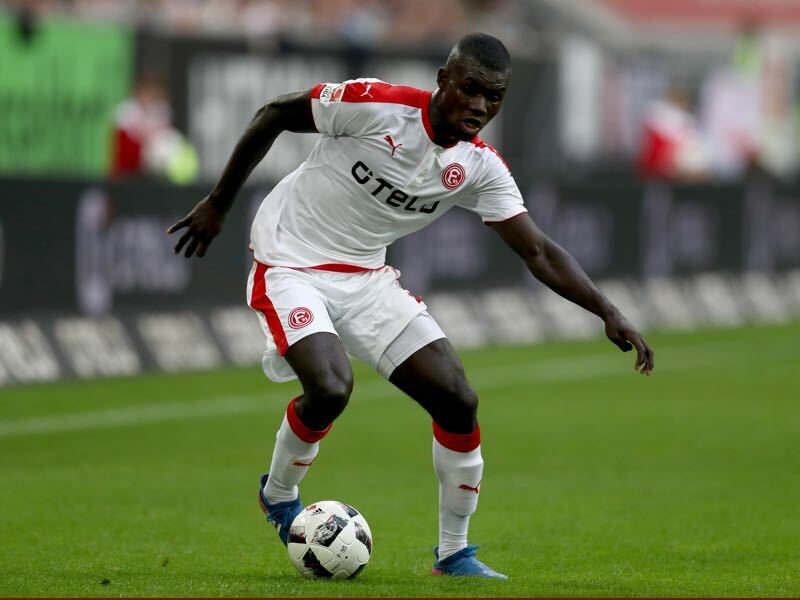 Signed for €5 million from Fortuna Düsseldorf Bebou has already scored three goals in eight Bundesliga games—including two fabulous goals on matchday 10 against the league leaders Borussia Dortmund. Born in Aledjo Kadara in Togo the 183cm tall right-winger arrived in Germany aged 11-years old. In 2004 Bebou joined the Düsseldorf based club Garather SV famous for developing talented female and male players for professional sides around Germany. Bebou remained with the club until 2009 and then joined another amateur side in VfB 03 Hilden. Here Bebou played for two years for the club’s U-17 side before being discovered by Fortuna Düsseldorf’s scouts in 2011. Signed by Fortuna in 2011 Bebou first played for the club’s U-19 and then the reserve side in the Regionalliga West. In 2013/14 Bebou was given a professional contract, but a horrible pre-season injury almost ended the Togolese’s career before it began. In the summer of 2013, Bebou fractured his skull and damaged his spine in a collision with a Grasshopper Zürich player during a pre-season friendly. For a brief period, Bebou even lost any feelings in his right arm thankfully for the player the paralysis disappeared, and Bebou was able to resume his career. By September Bebou was back in the squad and made his debut for Düsseldorf in Bundesliga 2 on September 15 against Dynamo Dresden. A knee injury cut his season somewhat short, but Bebou had himself established in Fortuna’s first team. In the next two seasons, Bebou quickly became a constant in Düsseldorf’s starting eleven and developed into one of the most exciting players in Bundesliga 2. In 70 games for Fortuna Bebou managed 11 goals and during the 2016/17 season the Togolese winger brought about the attention of several Bundesliga sides. 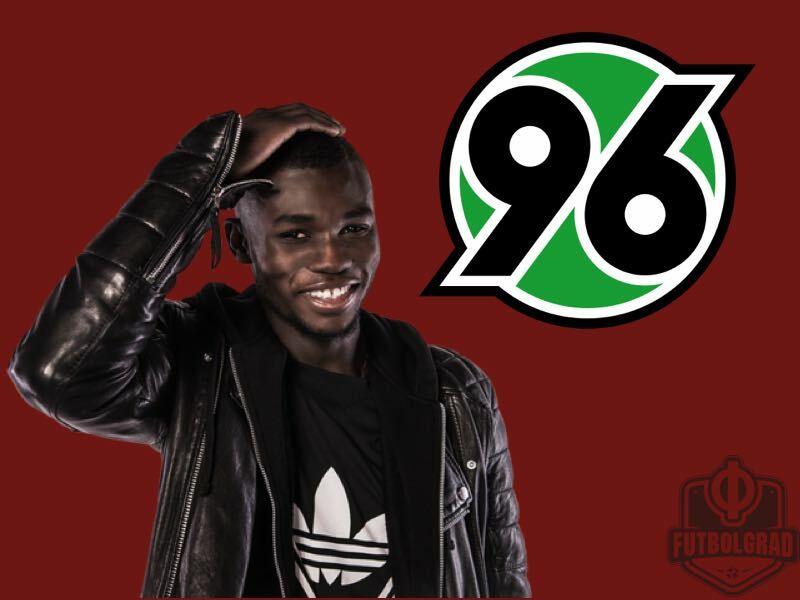 The most interested club was Hannover 96, who had experienced Bebou’s talent first hand while playing in Bundesliga 2 last season. Bebou, however, was under contract until 2018 and Fortuna Düsseldorf were asking for a significant sum from any club interested in the attacking winger’s services. At Hannover, the possible transfer of Ihlas Bebou, in fact, turned into a major political issue. At Hannover 96 decisions about transfers are usually made in conjunction with sporting director Horst Heldt, head coach André Breitenreiter, sporting director Gerry Zuber and supervisor Martin Andermatt. Heldt, Breitenreiter and Zuber had decided that Ihlas Bebou would be the perfect addition to the squad and were willing to pay the €4.5 million for the winger. Andermatt, however, favoured a solution that would have seen Hannover sign Slavia Praha’s winger Jaromir Zmrhal and defender Simon Deli. The two would have cost €4.5 million together. Andermatt was adamant that the club should focus on strengthening the squad’s depth, but Breitenreiter, Heldt and Zuber were of different opinion. The disagreement between the two camps almost let to the departure of head coach Breitenreiter and sporting director Heldt at the beginning of the season. The two felt that having Andermatt influence decisions on the squad was undermining their authority. In the end club, president and owner Martin Kind had to clarify the position of the four combatants. Talking to the German media Kind explained: “We used this occasion [the transfer] to talk to both sides and to clarify issues.” As a result, Heldt was given the full power to decide on future transfers, and the sporting director got his will signing the Togolese winger from Fortuna Düsseldorf. In the case of Bebou, the decision makers seemed to have gotten right. The winger is already a rare breed in the Bundesliga. With most teams switching to three or five in the back one-on-one situations have become increasingly more important in the Bundesliga. Unfortunately, most clubs lack wingers with power and technical skills that can break through defensive lines. Hannover, thanks to Bebou, are not one of those clubs and therefore go into matchday 11 as one of the top four clubs in the Bundesliga. Facing third-placed RB Leipzig on super Saturday, as second-placed Borussia Dortmund will also face first-place Bayern, Hannover will be looking at Bebou once again to be the difference maker.